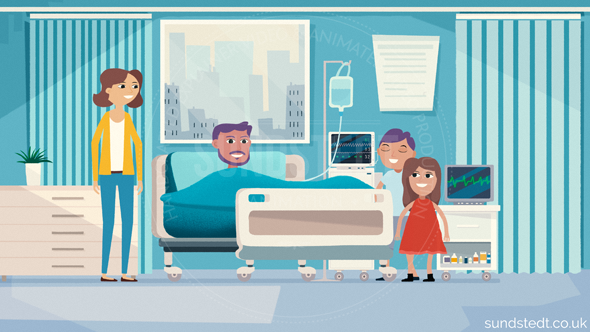 International Diabetes Federation teamed up with Sundstedt Animation to make an animated advertising film about Taking Diabetes To Heart. IDF is a worldwide alliance of over 230 national diabetes associations in more than 160 countries and is associated with the DPI of the UN & in official relations with the WHO. 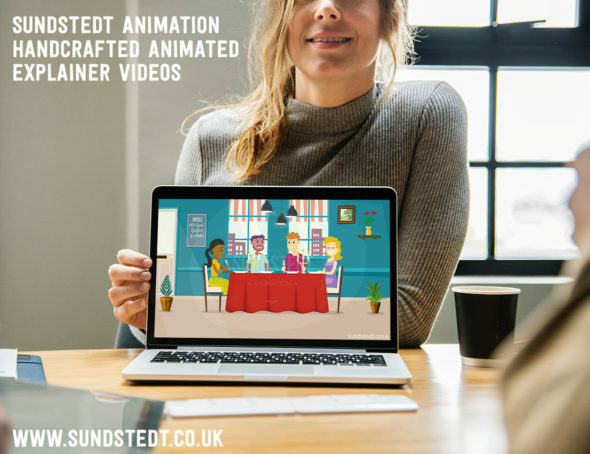 The non-profit International Diabetes Federation (IDF) came to Sundstedt Animation interested in working with us, looking for an animated video to be created for their new big campaign – Taking Diabetes to Heart. This video is for the IDF website pages and a large social media campaign including Linkedin, Twitter and Facebook to advertise it. It has also been added on IDF Youtube channel. Taking Diabetes to Heart is a new multi-country study, developed by the International Diabetes Federation (IDF) in partnership with Novo Nordisk, focusing on cardiovascular (CVD) risk awareness and knowledge among people living with type 2 diabetes. The aim of Taking Diabetes to Heart is to define the actions that are required to promote knowledge and awareness of cardiovascular diseases among people living with type 2 diabetes, to improve their health outcomes and address systemic challenges to healthcare systems. 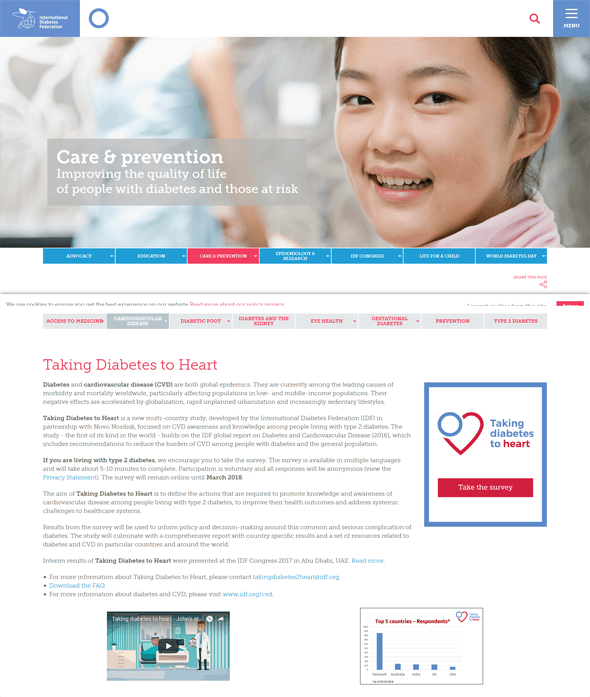 Taking Diabetes to Heart consists of an online survey, available online in multiple languages. Results from the survey will be used to inform policy and decision-making around this common and serious complication of diabetes. We presented IDF with multiple animated video techniques, styles and methods. It was decided for this video to be 2D animation, so this is the category we used in this video production. We asked the client to provide the approved script and a basic story at the start of the project. 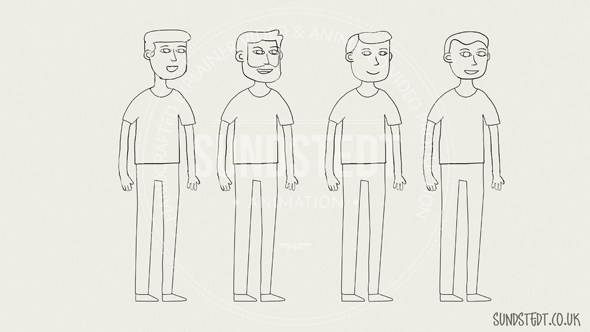 Anders Sundstedt created all the designs, graphics, artwork, character designs and illustrations for the video content for all scenes in the animation in his own unique style. 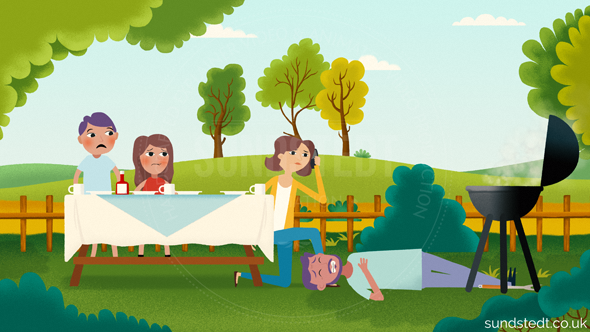 We decided to go for a premium quality design with very detailed illustrations and background compositions. 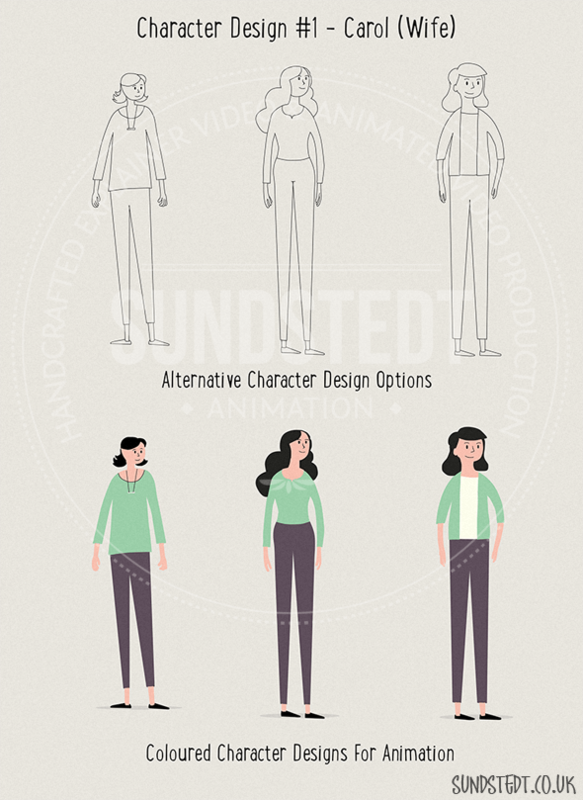 IDF was presented with alternative character design styles and they liked the 2nd character design best, so we then designed all the characters of the family and other characters in this style. 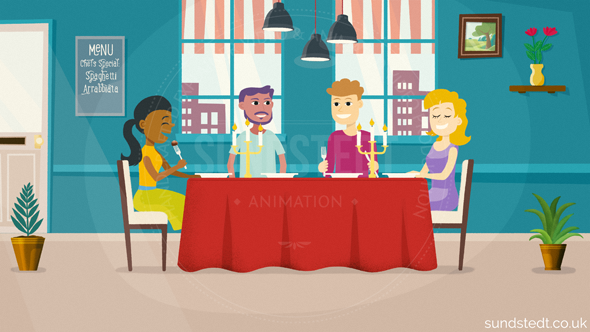 This video features over 8 unique animated characters and many detailed 2D background designs and artwork, which took up a large part of the video production. 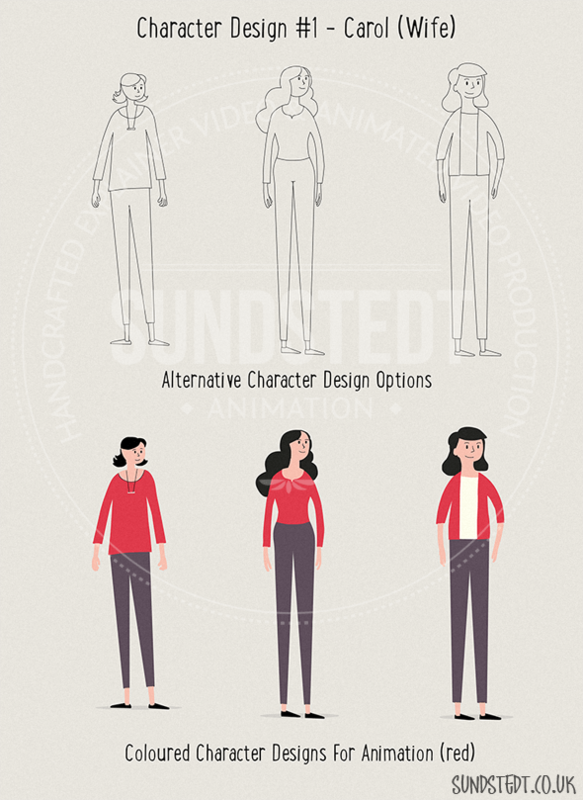 We wanted to make sure everything to look cohesive and we had all scene artwork with all characters and scene backgrounds prepared and approved by the client before animation started. We helped IDF with suggestions and advice for the voice over artist selection. IDF decided to got for a male VO artist and we are happy with the result. 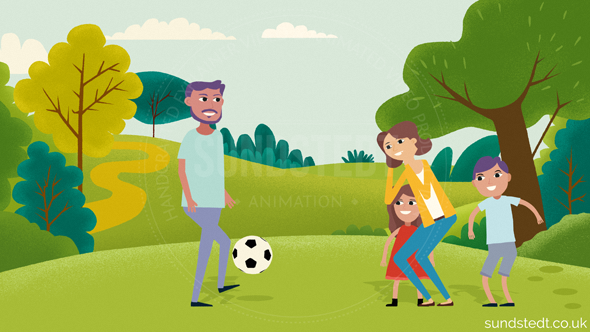 We communicated regularly with the client throughout the production of this animated video, for approval of all content and for giving IDF options and to ask them questions about the video. Finally we put it all together and we added the VO and music. 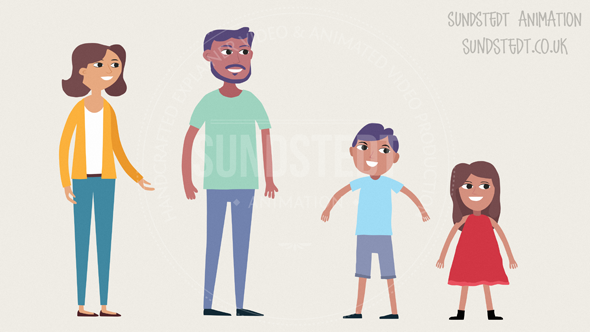 Te client loved the animated video content we made and it has been great working with IDF again. 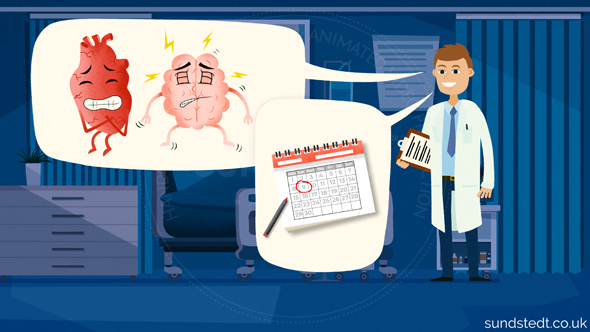 When measuring the success for an animated campaign & awareness video content like this one, it is best done by looking at social engagement, for example the number of views, visits, shares, likes & traffic to your website, here with the goal to advertise the study / campaign. IDF published the video on their website on February 13th, 2018. On LinkedIn the video has been published in a post. For us the actual reward is that they trusted us to produce two videos. Junior Professional Officer, Global Partnerships and Policy & Programmes at International Diabetes Federation. This gallery show some work in progress, sketches, character design concepts (unused), behind the scenes images and other images from the IDF Taking Diabetes to Heart – John’s Story Video production, including unused items.